Geek Connections: DOCTOR WHO and STAR TREK | Warped Factor - Words in the Key of Geek. 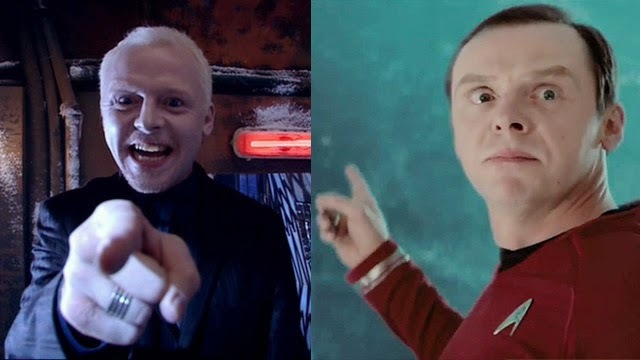 Simon Pegg plays Scotty in the new rebooted Star Trek movie series, and he also appeared as The Editor in the 2005 episode of Doctor Who, The Long Game. 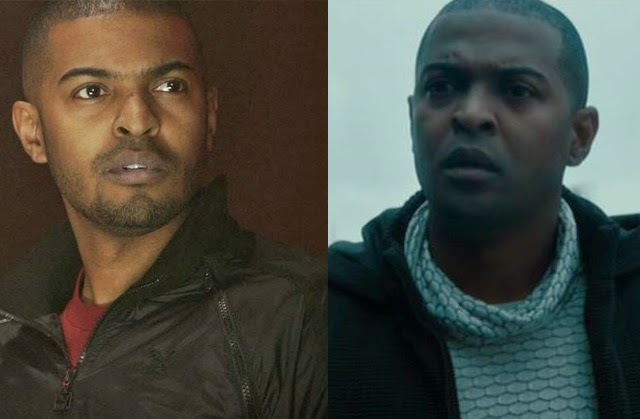 Noel Clarke appeared as Thomas Harewood in Star Trek Into Darkness, and played Mickey Smith in Doctor Who. 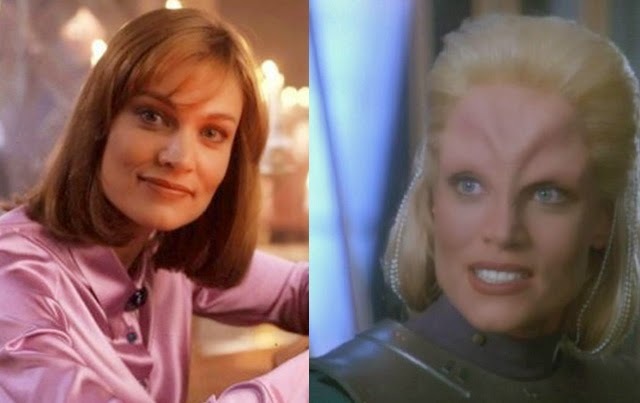 She played Melora in the Star Trek: Deep Space Nine episode entitle Melora, as well as co-starring in the 1996 Doctor Who TV movie as Dr. Grace Holloway. In 2013 David Warner played Professor Grisenko in the Doctor Who episode Cold War, before that he'd leant his voice to the 2009 Tenth Doctor animated episode Dreamland. 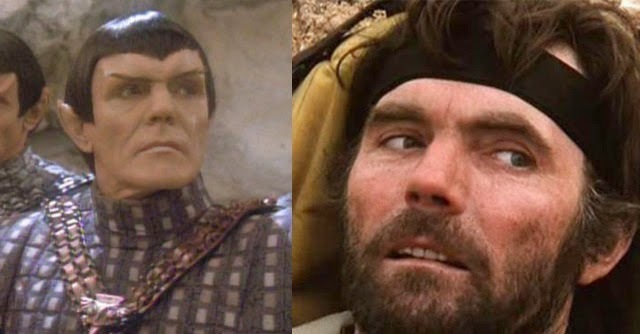 He has several Star Trek credits to his name including appearing in both Star Trek V: The Final Frontier and Star Trek VI: The Undiscovered Country, and playing Gul Madred in the Star Trek: The Next Generation episode Chain Of Command. Mark Sheppard seems to have appeared in just about every geek series there is out there, so naturally he's been in both Trek and Who. He guest starred as Canton Everett Delaware III in The Impossible Astronaut and Day Of The Moon, and played Leucon in Star Trek: Voyager. 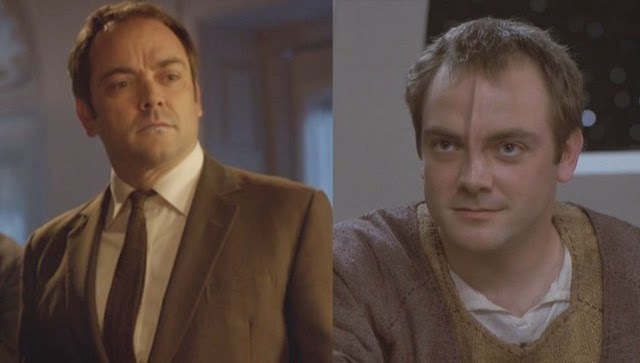 Keeping it in the family, Mark Sheppard's real life father portrayed the elder Canton Everett Delaware III in Doctor Who, and has appeared as different characters in four incarnations of Star Trek. 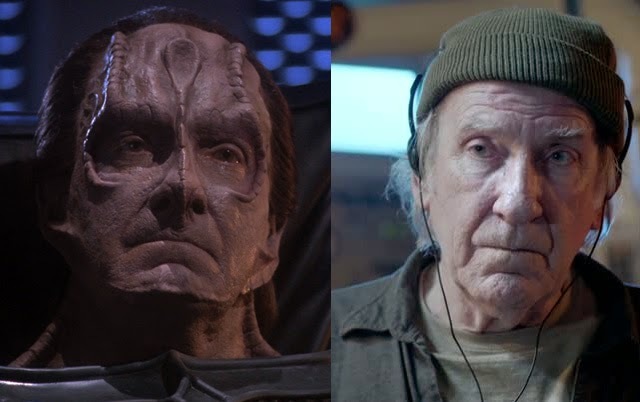 He was the warden of the Klingon penal colony in Star Trek VI: The Undiscovered Country, Dr. Ira Graves in the Star Trek: The Next Generation episode The Schizoid Man, Qatai in the Star Trek: Voyager episode Bliss, and as the Vulcan Science Minister in the 2009 Star Trek movie. 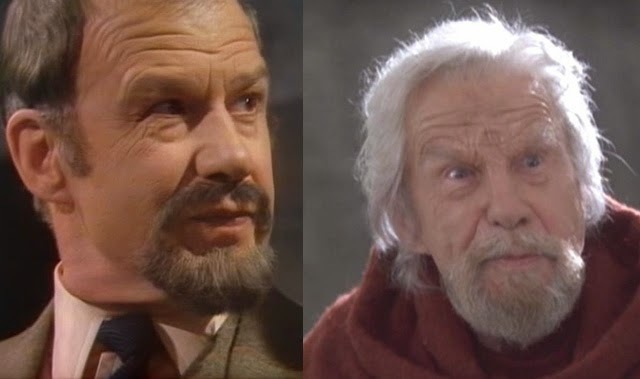 Back in 1970 he played Professor/Director Stahlman in the Doctor Who story Inferno, 30 years later he guest starred in the Star Trek: Voyager Blink of an Eye as a Cleric. 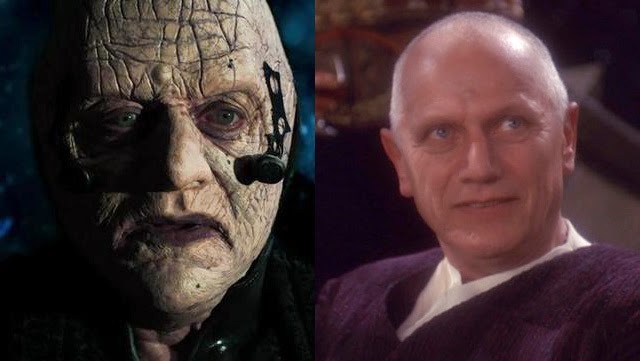 In 1997 Steven Berkoff guest starred in the Star Trek: Deep Space Nine episode Business As Usual as Hagath. And in 2012 he appeared as Shakri in the Doctor Who episode Power of Three. 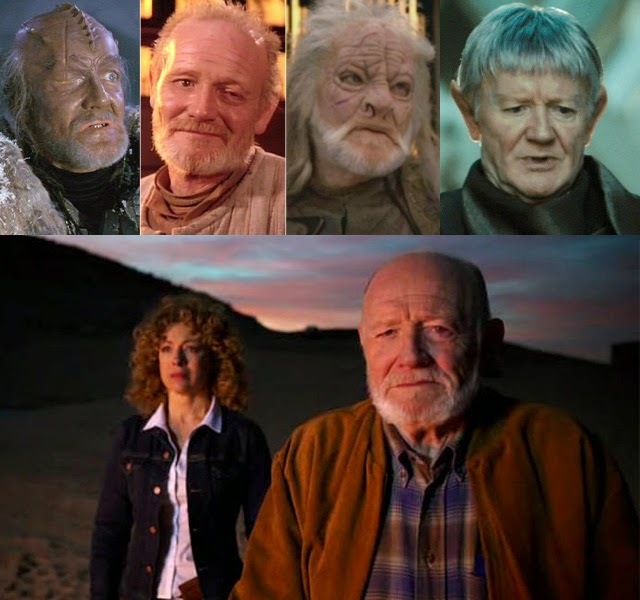 He played a Time Lord in part 1 of Genesis of the Daleks, and also appeared as Macias in the Star Trek: The Next Generation episode, Preemptive Strike. Another Genesis of the Daleks guest star, Guy Siner played Ravon. He also appeared as Stuart Reed in the Star Trek: Enterprise episode Silent Enemy. 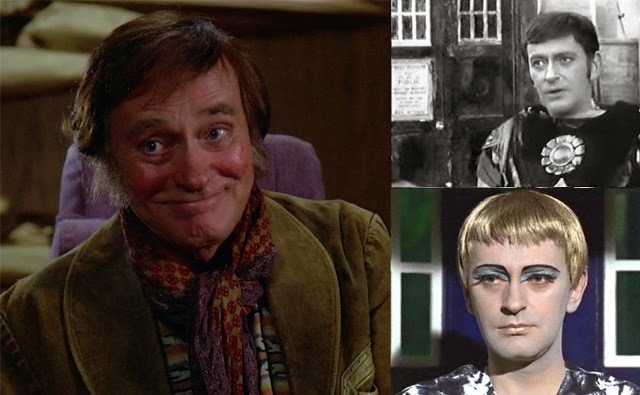 Barrie Ingham guest starred in The Myth Makers as Prince Paris, and also appeared in the Peter Cushing Dr Who & The Daleks movie where he played Alydon. Many years later he popped up on Star Trek: TNG during the episode Up The Long Ladder where he played Daniel Odell. He played Stotz in The Caves of Androzani, and a Romulan Captain in the Star Trek: TNG episode, The Chase. 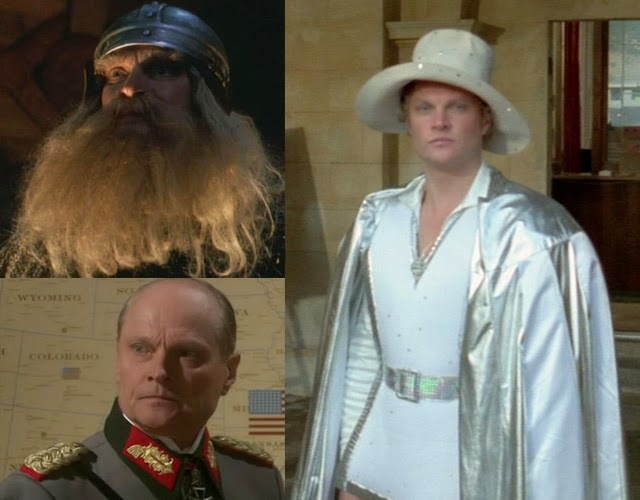 He played Skagra in the incomplete and unaired Doctor Who adventure Shada, as well as Unferth in the Star Trek: Voyager episode Heroes and Demons, and a German General in the two part Star Trek: Enterprise story Storm Front. 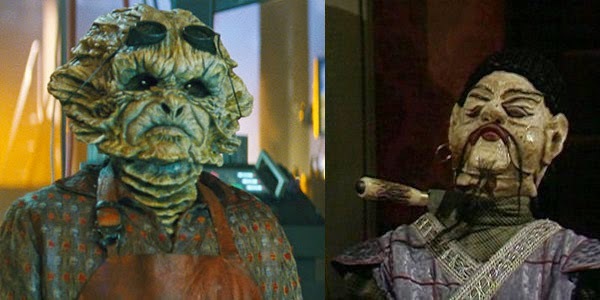 Deep Roy played Mr Sin in The Talons of Weng-Chiang, and in 2009 he appeared as Keenser in the Star Trek movie. Benedict Cumberbatch: Yes, Sherlock himself has technically been in Doctor Who. He voiced Howard Carter in the Big Finish Doctor Who audio story, Forty Five, as well as playing Khan in Star Trek Into Darkness. Nana Visitor: Best known as Major Kira Nerys from Star Trek: Deep Space Nine, she also appeared in Torchwood: Miracle Day as Olivia Colasanto. John de Lancie: Played Q in Star Trek, and Allen Shapiro in Torchwood: Miracle Day. Alan Dale: aka Jim from Neighbours played Praetor Hiren in Star Trek: Nemesis and Dr. Aaron Copley in Torchwood: Reset. Bari Hoshwald: Played an ER Nurse in Torchwood: Miracle Day, and has had three different roles in three different Trek's. First in Deep Space Nine she played Elizabeth Lense in the episode Explorers, then in Voyager she played Brin in Friendship One, and finally in Enterprise E'lis in Marauders. Jason Brooks: He played a Romulan Helmsman in the 2009 Star Trek movie, and two years later played the Press Secretary in Torchwood: Miracle Day. Paul Hayes: Played a businessman in the Star Trek: Enterprise episode Carbon Creek, as well as playing Costerdane in Torchwood: Miracle Day. Amy Benedict: Played Bridget Howe in Torchwood: Miracle Day, and appeared in the Star Trek: Deep Space Nine episode The Storyteller where she was simply credited as 'Woman'. Eric Steinberg: Played Zheng Yibao in Torchwood: Miracle Day, as well as Ankari in the Star Trek: Voyager episode Equinox, and a Porter in Star Trek: First Contact. Kelvin Yu: Played Nicholas Frumkin in Torchwood: Miracle Day, and played a Medical Technician in the 2009 Star Trek movie. Van Epperson: Played an Archivist in Torchwood: Miracle Day, and a trio of Trek roles. He was a Morgue Attendant in The Next Generation episode Time's Arrow, a Bajoran Clerk in the Deep Space Nine episode Q-Less, and an Alien Man in the Enterprise episode Broken Bow. Robin Sachs: He played a British Professor in Torchwood: Miracle Day, as well General Valen in the Star Trek: Voyager episode The Void. David Youse: Yet another Torchwood: Miracle Day actor, he played Dr. Rosenbloom, and also Nalbis in the Star Trek: Enterprise episode Chosen Realm. Richard Wharton: Dr. Paul Bell on (guess?)... Torchwood: Miracle Day, and Jossen on the Star Trek: Enterprise episode The Seventh.